When a Michigan DHS employee has violated such right, and by doing so cause harm to you, your child, NC. Hawaii,to NYS per employee assigned to your case,and has not been forthright, all the while knowingly and or willfully, reckless disregard to you and your child, insofar as but not limited to,failing to reunite, failure to allow by law parenting time/visitation et.al., then you are clearly within your right, to put em'on required notice, of your intent to sue. Such case law wholly support such factual. 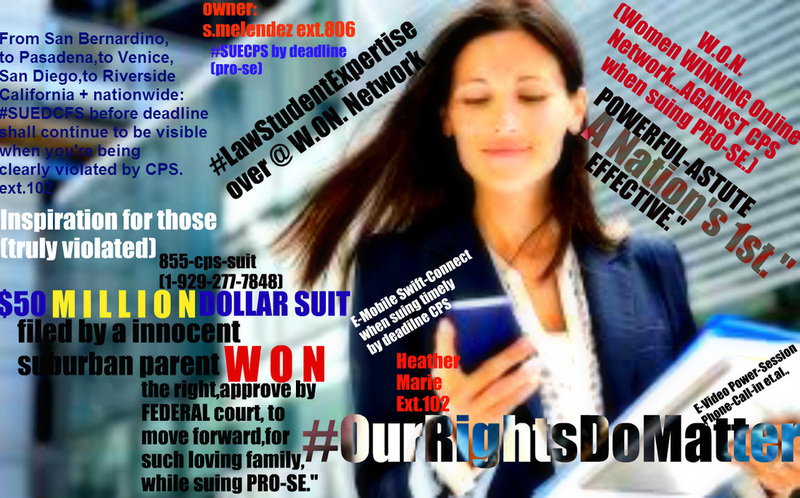 -CPS engaging in perjury to a material fact et.al., you're to understand WHY you're suing,and how much time you're having to ensure that your most meritorious claim(s)for civil right federal court damages against per employee shall be limited as each day near your deadline. Do not think you are not able/not capable. OWNER MELENDEZ prove ALL lawyers wrong,as media has validate her $50MILLION DOLLAR SUIT has WON such right, to move forward rightfully so. She now focus on LAW SCHOOL. violating one's fundamental right, to their own child, has violated a good parent, for far too long, without accountability. 1-929-277-7848( Extension 806) Help form MUST be filled out accordingly prior to calling-in to begin, thank you.